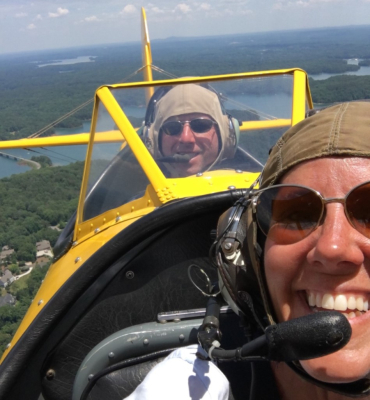 Your adventure begins at Cartersville(VPC), Calhoun(CZL), Chattanooga(CHA), Cleveland (RZR), or Chilhowee Gliderport(92A) airports. Take in the breathtaking beauty flying over Lake Allatoona, Barnsley Gardens, North Georgia mountains, and downtown Chattanooga. Enjoy a full hour tour in the North Georgia Mountains. Fly over Lake Allatoona. See downtown Chattanaooga including the Chattanooga aquarium and river front. All flights are limited to 25 miles from the departing airport. Feel the wind and hear the sounds! Big smiles on every ride! Take the ride of a lifetime! 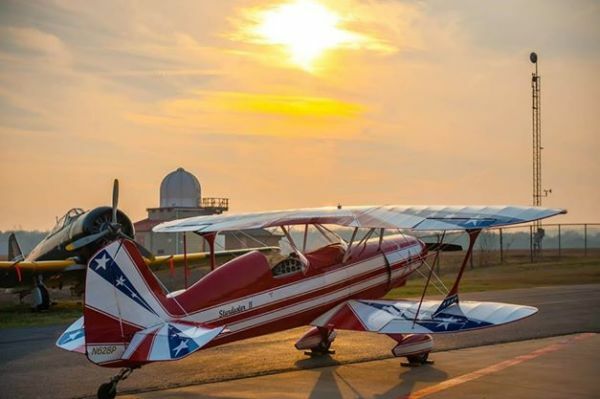 Take an aerobatic flight 8n our 1942 WWII Stearman. 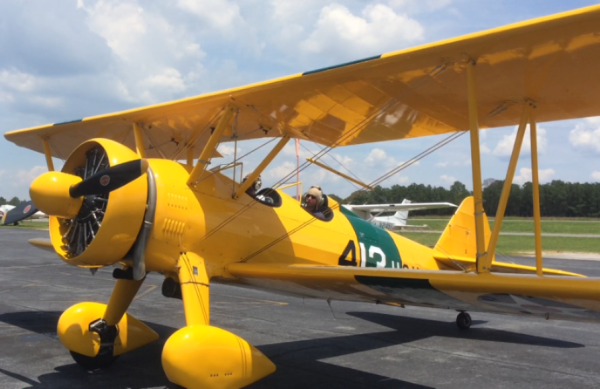 Come fly in our WWII Stearman biplane!